Local elections are happening on 2nd May. The Government is in turmoil and while the Tory Party are fighting amongst themselves, people all over the UK are bearing the brunt of Tory cuts to vital local services. We’ve put together a plan that will flip the results against the Tories in 12 key local councils and pave the way to beat them in the General Election... but we need some cash to pay for the resources, canvassing and staffing to help make it happen. We need to hit our target of £7000 to roll out the plan. Can you chip in? 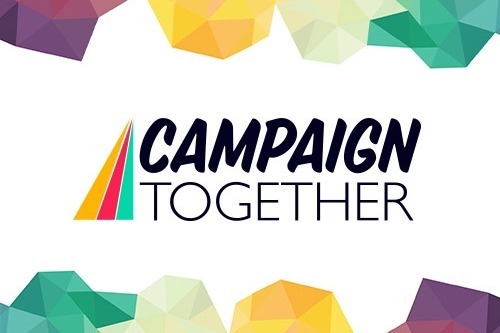 Campaign Together is a grassroots movement of people from all political parties and none that want to stop the tories from winning the next election. Last year, we flipped two seats away from the Tories and helped to elect left-wing candidates in Bristol and Oxford. We bring together people who want to stop the Tories and use political science, community organising and tactically voting to spread the message about which party can best stop a Tory government. Wow! In just 3 days we've raised over £2500, taking us a quarter of the way to our goal. It's proof that this people powered movement to stop the tories can win. We need to keep going to make sure we have the funds to pay for materials, venues for training and tech to spread the word. Can you share this crowdfunder with 5 friends?